Ibiza (Catalan: Eivissa [əjˈvisə]) is an island in the Mediterranean Sea 79 km off the coast of the city of Valencia in Spain. It is the third largest of the Balearic Islands, an autonomous community of Spain. 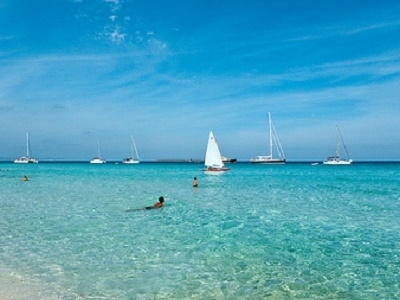 With Formentera, it is one of the two Pine Islands or Pityuses. 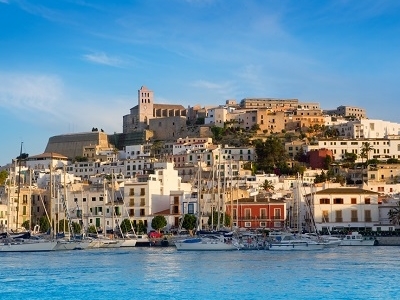 Its largest cities are Ibiza Town (Catalan: Vila d'Eivissa, or simply Vila), Santa Eulària des Riu and Sant Antoni de Portmany. Its highest point, called Sa Talaiassa (or Sa Talaia), is 475 m/1,558 ft above sea level. The relatively small island and its cities have become World-famous for their associations with tourism, nightlife, and the electronic music the island has originated. It is well known for its summer club parties which attract large numbers of tourists, but the island's government and the Spanish Tourist Office have been working to promote more family-oriented tourism. Noted clubs include Space, Privilege, Amnesia, DC10, Eden, and Es Paradis. Ibiza is also home to the legendary "port" in Ibiza Town, a popular stop for many tourists and now a UNESCO World Heritage Site. The official name of the island is in Catalan Eivissa (pronounced: [əjˈvisə]). The name in Spanish is Ibiza (pronounced: [iˈβiθa]). In British English, the name is usually pronounced in an approximation of the Spanish (/ɪˈbiːθəˌ ɪˈviːθə/), while in American English the pronunciation is more anglicized, or closer to Latin American Spanish (/ɪˈbiːzə/, /iːˈbiːsə/). The origin of the name is the Phoenician אִיבּוֹסִים, Ibosim. Here's the our members favorite photos of "Islands in Balearic Islands". 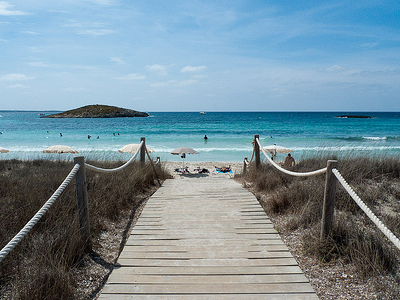 Upload your photo of Ibiza! Get in touch with 31 Touristlink members who want to visit Ibiza or with Alison, Dáša Nečasová and 24 others who already have been here.